As the SEO Specialist for Brighton College, I have come across many frustrating, un-optimized, information-rich government websites which are difficult to find on the Internet. 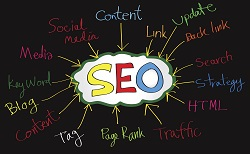 Although government websites may have an advantage over commercial websites pertaining to search engine optimization (SEO), without an intentional SEO strategy Internet users may not be able to find what they are looking for. Search engines such as Google, Bing and Yahoo regularly favor government websites over others based on the natural trust factor which their algorithms may take into consideration. If the website is optimized correctly, Google and other search engines will spider and index the pages and their respective keywords, allowing the government website to show up high on search engines when a user is searching for related information. However, not all government websites are optimized for SEO, as webmasters assume the site will naturally be ranked due to the weight of the trust factor for the .gov domain. While in some cases this may be true, without telling the search engines what keywords the page should be ranked for, the website may not rank for the specific keywords which users are typing into Google, Bing or other search engines. Having a website which correctly ranks for keywords pertaining to the site information will help people find the information quickly and easily, which is why government websites need good SEO. By guest blogger, Stephanie Stover, Search Engine Specialist for vocational training school Brighton College located in Vancouver, B.C.